In September 1976, Capitol Records released a mystery album and let the secret carry itself through word of mouth throughout North America. This initially obscure record oozed of secrecy and inspired vast speculation by everyone in the industry, fans and professionals. This album hit the scene and as people got their hands on it, they were left scratching their heads. There were no pictures of the band. There were no writing credits given to musicians. There was no biographical info, no thanks, no notes, no nothing. Or was that the album name? What gives? Cue the media frenzy. Setting the stage six years before, all of our hearts were broken when the announcement came: The Beatles had disbanded. In the years to come, nothing was dreamed of more in the industry and in the global pop culture than a reunion album from the Fab Four. 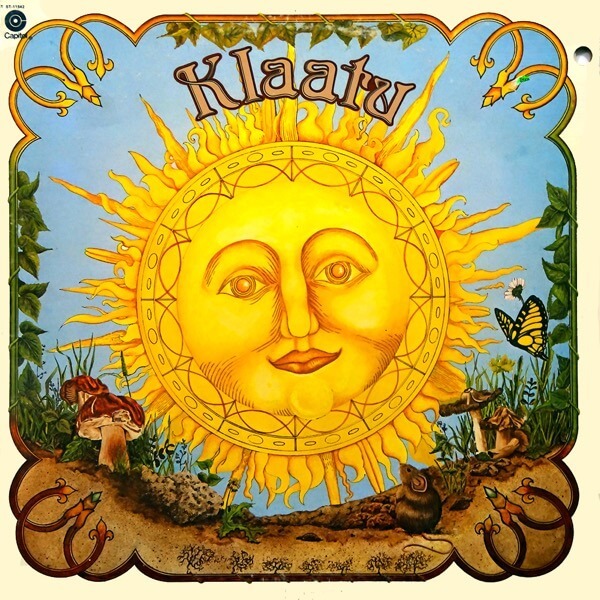 "The album showcases masterful Beach Boy style vocal arrangements"
"The Klaatu sound reminds one of the orchestration and style of The Beatles"
Klaatu could very well be an anonymous reunion album by The Beatles. And that's all it took. Smith didn't fan the flame. He poured a full drum of gasoline and tossed a grenade. The situation exploded into a full-on Stage 5 viral pandemic. 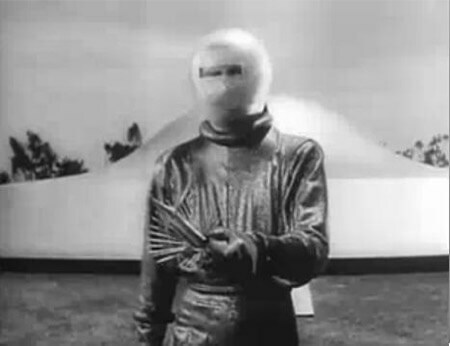 ...is none other than the master of the robot servant of the space aliens in the 1951 film The Day the Earth Stood Still. To top it off, it was discovered that in Canada the album did have a name! It was called "3:47 EST". It happens that that is the exact moment the spacecraft touches ground on Earth in the movie... What could it all mean? "Well, for one," everyone decided, "it means that Klaatu is the name of the band." Steve Smith, riding on his notoriety as the rumor starter, began to investigate. He started hitting up Capitol Records for info, but they had nothing to say. Not only did they not release names, but they were vague and even insinuated that perhaps they didn't even know themselves! Radio stations were talking about it. Print media was furthering the speculation. Beatles fans were on a rabid wild goose chase trying to crack the code. Good old Steve Smith even managed to dig up enough clues, probably purposefully inaccurate clues, to tell the world that there were FOUR MEMBERS! lt just had to be The Beatles! Of course the entire world isn't going to be talking about this band without playing tracks from the album. 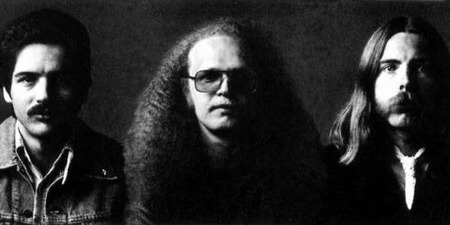 The song "Calling Occupants of Interplanetary Craft (the Recognized Anthem of World Contact Day)" pushed forward as the people chosen hit single. By 1977, less than one year's time, The Carpenters did their thing and covered it, pushing into the Top 40 worldwide. Klaatu was now a household name and dinner table discussion. Sneaky detectives discovered that the unknown number of band members were currently in England recording a second album with the help of none other than the London Symphony Orchestra. I mean, c'mon bro, that's got Beatles written all over it... right? This whole mystery was exploding. The album was selling 20,000 copies PER DAY in the United States alone. Hotcakes, I tell you. Meanwhile, the attention shifted from The Day the Earth Stood Still to the album lyrics and cover itself. 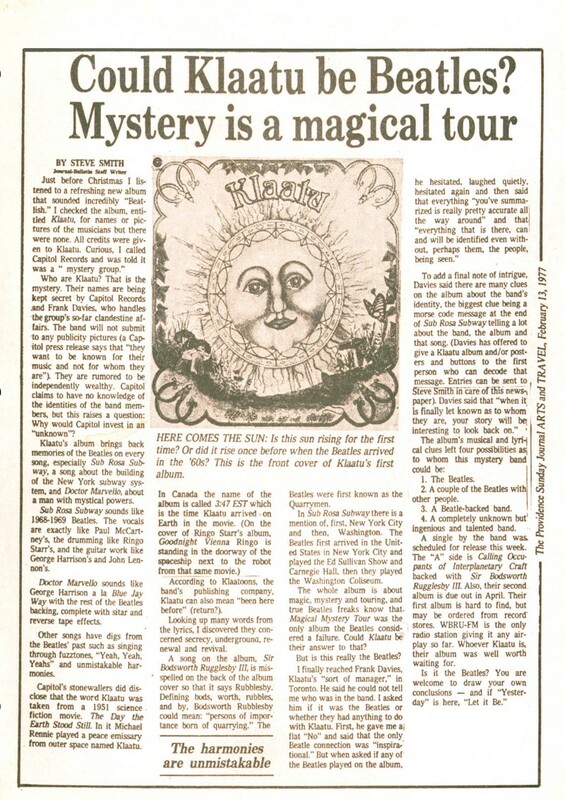 ...and even themes and elements related to concepts such as "Magic" and "Mystery" and "Tour." 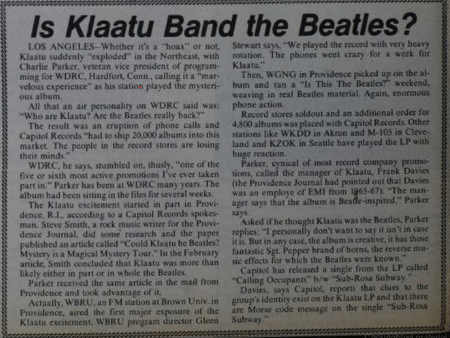 The article begins: "Klaatu is not the Beatles, of course. Klaatu is Klaatu." The most amazing part of this entire story comes at the climax and the return to normalcy. The speed at which it happened was phenomenal. Three fellows from Canada. Like a balloon being pricked with a sewing needle, the hype that had expanded to enormous proportions dissipated into the atmosphere immediately. Whether people were upset that the fun was over, or crushed that they weren't getting their Beatles reunion after all, they began to get a little sour about it. As soon as the secret was revealed, the media stopped playing the record. The fan base that had included hordes of Beatles lovers was quickly reduced to the minuscule pack of progressive psychedelic rock nerds. Every album sold less and less numbers until finally, after the fifth album release in 1981, Klaatu, much like the very band they rivaled in skill, talent, and enjoyability, disbanded to release bits of solo material here and there to the dismay of their true fans. There's never been a stranger career than that experienced by the three (not four!) members of Klaatu. They rose to fame, recognized as the equals of The Beatles, and dropped just as fast. Once household names, now you'd be hard pressed to find anyone who'd ever even heard of this band. A band so good they were literally thought to be The Beatles... unbelievable. Klaatu, you made the Earth stand still for much longer than a day! Thank you for your music.